When exactly will reinsurance prices hit rock-bottom? Market professionals have been expecting rates to stabilise this year but the important June renewals for US catastrophe business found the pace of rate reductions actually increasing, broker JLT Re reported at the start of the month. The firm’s rate-on-line index for Florida cat renewals fell 5.1% on average this year, up from an average fall of 3.1% at the same point in 2016. Insurance-linked securities markets showed stronger appetite for business, JLT Re said, adding to the excess capacity and competition from traditional providers. 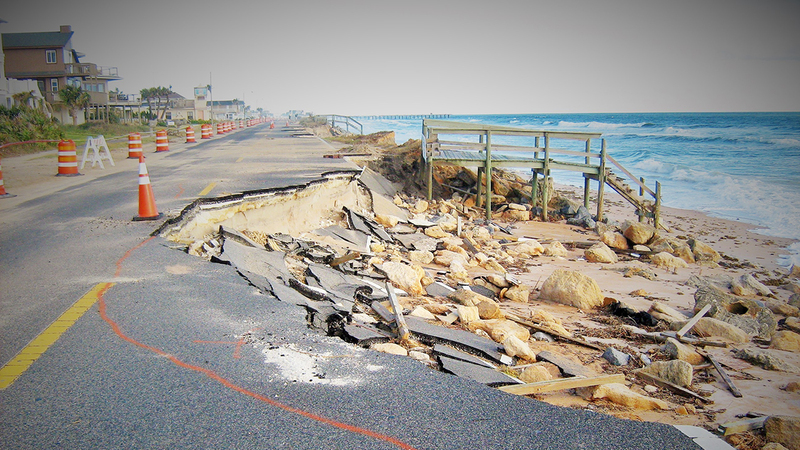 Reinsurance pricing for Florida business is now 40% down on 2012 levels, the broker said. It’s a disappointing situation for reinsurers. Hurricane Matthew losses had little impact on renewals, JLT Re said. Perhaps more importantly, reinsurers have not been able to impose increases in reaction to deteriorating results in the Florida primary market fuelled by higher attritional losses and costs related to the much-hated practice of assignment of benefits. That sees policyholders sign over their insurance recovery rights to third-parties such as plumbers or building contractors, and has resulted in a big rise in expenses for insurers. Rating agency Demotech raised its concerns with the primary sector and earlier this year took the drastic step of withdrawing its guidance on local insurers and warning of potential rating action. Companies have responded to the deteriorating market by adding $200m to loss and expense reserves, as well as bolstering capital by $155m to $355m, Demotech reported. What they do not seem to have done is look for much in the way of additional reinsurance at this year’s June 1 renewals. The reinsurance sector is now on course for another year of weaker underwriting performance, even if major loss experience over the summer months proves benign once again, and the likelihood of that is lower than last year, according to the latest predictions from the leading hurricane forecasters. First-quarter results showed further underwriting declines to follow last year’s weaker performance. The 17 reinsurance companies surveyed by the Reinsurance Association of America (RAA) saw their collective underwriting profit for the quarter fall heavily to $69m from $381.6m for the comparable period of 2016. The industry’s combined ratio was 2.8 percentage points higher at 95.7%. The underwriting highlights fail to tell the full story, however. The figures are distorted by the wide swing in result at Berkshire Hathaway’s National Indemnity, the largest company on the survey. National Indemnity fell to a loss of $138.5m for the first three months of 2017 from a profit of $209.8m. Excluding that company, the remaining reinsurers posted a 20.2% increase in underwriting profit, to $206.5m. But importantly six reinsurers recorded an underwriting loss for the 2017 period compared with just three a year previously. Again excluding National Indemnity, total net profit fell to $577.9m from $981.4m. Berkshire Hathaway’s overall reinsurance operations, carried out through General Re and Berkshire Hathaway Reinsurance Group (BHRG), had a tough first quarter, posting a combined underwriting deficit of $743m, up from a loss of $37m. General Re slumped to an underwriting loss of $143m because of a $142m charge related to Ogden plus a $50m hit from Cyclone Debbie. The comparable period of 2016 saw the reinsurer suffer no major cat losses. But General Re’s non-life premium income was up 14% overall and 16% at consistent exchange rates reflecting higher volume in both direct and broker markets. By contrast, BHRG’s non-life premium income was down 9% to $1.46bn due to the poor market environment, the company said. Underwriting performance fell to a loss of $269m from a profit of $126m because of $270m in adverse reserve development and an increase in cat losses, including $52m for Cyclone Debbie. BHRG’s total premiums were up massively because of a $10.2bn payment received from AIG in return for up to $20bn of adverse development cover. Berkshire Hathaway’s Primary Group, which includes the expanding Berkshire Hathaway Specialty Insurance operation, delivered a 56.2% increase in underwriting profit, to $189m, from a 17.9% upturn in gross premiums, to $1.85bn. Premiums at US reinsurer TransRe, owned by Alleghany, were down 7.6% to $1.06bn due to falls in both of the unit’s divisions, writing property and casualty/other business. Some of the reduction was due to lower premiums under the large quota-share protection TransRe writes for Farmers, although the unit also wrote less international casualty business. The property division suffered a slight dip in underwriting profitability but the casualty book recorded a loss of $20.8m, compared with a profit of $16.4m. The Ogden change resulted in a $24.4m charge. Fairfax’s main reinsurance outlet, OdysseyRe, recorded a 14.8% increase in net premiums on the back of increases in most lines and regions, with the exception of Latin America. Insurance Day’s quarterly tracker of the leading Bermudian reinsurers found the 16 companies shown in our tables recorded a 20% reduction in underwriting profit, to $866.6m, with four companies posting combined ratios above 100%. Those are group figures rather than reinsurance-specific. 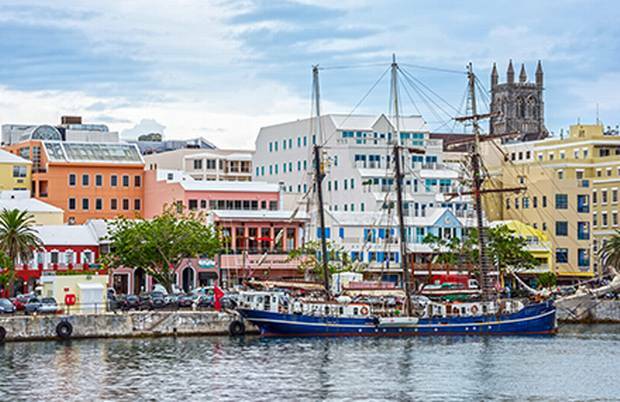 And the four major continental reinsurers all posted higher combined ratios, confirming the deterioration extends beyond the property cat-focused slice that the Bermudians concentrate on. For the Bermudian companies, underwriting performance was adversely affected by a rise in major losses and a reduced benefit from reserve releases, worsened by the need for some players to strengthen reserving because of the change to the Ogden discount rate. At the same time, rates continued to fall. The Bermudian companies shown in table 4 gained a reserve release benefit of $246.5m, down from $576.6m. Four of the companies needed to bolster reserves. Premium income for the Bermudians increased 5% gross but was unchanged net. Several trends are at work here and reinsurers are adopting varying underwriting strategies. Some companies have pulled back on property-related reinsurance, either boosting other reinsurance lines or writing more primary business as they try to diversify away from the ultra-competitive catastrophe sector. It’s a strategy that brings risks as property cat business has traditionally been, and generally remains, more profitable than other lines of reinsurance and primary lines. Given the risks they are running, property cat specialists need to produce outsized returns when loss experience is good to compensate for the large losses they are likely to post when a cat does strike. The largest of the Bermudians, XL, cut its property cat net premiums to $148.4m from $205.3m in the face of a 3% rate fall over the period. But gross reinsurance premiums were up 3.9% overall, with Bermudian operations posting a 15.4% increase due to new property business and the renewal of a large multi-year casualty deal. North American reinsurance premiums climbed 5.7%, helped by additional accident and health business. XL said non-cat property reinsurance suffered a rate deterioration of just 0.8% while casualty and crop lines renewed with slight increases and other reinsurance business was flat. The reinsurance division posted an underwriting profit of $65.2m, down from $119.1m. Everest Re grew its reinsurance book by 19.4%, fuelled by increased crop reinsurance, and additional casualty and financial lines business written by the group’s Bermudian operation. Reinsurance premiums in Bermuda were up 56.9% to $321.1m and the division posted a 62.9% increase in underwriting profit, to $38.8m. US reinsurance premiums increased 7.9% on the back of additional crop, casualty treaty and surety business. Underwriting profit slipped 13.8% to $102.8m. International premiums climbed 13.1% due to growth in the Middle east, Latin America, Singapore and Canada. Completing a quarter of growth on all fronts, Everest’s primary insurance division, including Lloyd’s syndicate 2786 which is in start-up mode, rose 15.5%. Arch recorded premium reductions for both reinsurance and insurance divisions but total premiums increased because of a considerable rise in mortgage business. The group now owns United Guaranty, AIG’s former mortgage insurance division. Arch wrote less property cat business during the quarter and ceded more of the account to retrocessionaires. Reinsurance net premiums overall fell 3.5% as the company also wrote less casualty, marine and aviation business. Not everybody trimmed their property cat accounts. Axis added property cat business during the period, writing gross premiums of $185.9m, up 27%. But even with a hefty increase in agricultural reinsurance premiums, the overall reinsurance book showed a reduction of 6.7% as the company pulled back heavily in many reinsurance lines, notably liability and credit/suretv. Axis said the reduction was partly due to treaties written on a multi-year basis (bringing $138m less in premium) as well as the impact of foreign currency exchanges ($47m impact). Stripping out these two factors left Axis with a 7% increase in reinsurance premiums on a comparable basis. The agriculture account was up due to an increased line size on a treaty and Axis also booked new business in motor, property and catastrophe lines. The professional lines book showed a big reduction following the restructuring of a large quota-share treaty, which impacted the timing of premium recognition. Axis took a reserving charge of $59m because of Ogden and reserve releases overall fell to $24.8m from $70.4m. Not for the first time, RenaissanceRe revealed itself to be out of step with much of the market. The group added 17% to its property reinsurance book, putting on business in both catastrophe and non-cat areas. The company said it was able to “increase our participation on a select number of transactions and enter into certain new transactions we believe have comparably attractive risk-return attributes”. US and Caribbean business continues to dominate the property book as RenRe finds other regions less attractive on a risk-adjusted basis. The property division posted underwriting profit of $91.4m down 12.6%, on a combination of less favourable reserve development and an increase in attritional claims damage. RenRe is no longer overwhelmingly focused on property business following its acquisition of Platinum, completed in 2015. The group’s casualty and specialty division recorded a 3.7% reduction in premium, mostly due to the impact of a large multi-year mortgage reinsurance deal written in the 2016 period. The division was hit by a $33.5m reserving charge related to the Ogden discount rate change, pushing underwriting to a loss of $49.3m. Allied World’s reinsurance division recorded a 35.1% drop in underwriting profit, to $19.2m, on the back of a 5.6% fall in gross premiums, to $348.3m, but reinsurance was the only one of the group’s three operating divisions to post a profit. The good news was Allied World made headway in sorting out its troublesome global markets insurance unit. Although that unit is still unprofitable, its combined ratio improved by no fewer than 14.4 percentage points. Validus registered premium reductions in its reinsurance and primary insurance divisions, more than offset by an increase at its excess and surplus lines unit, Western World. Reinsurance premiums fell 10.3% to $620.5m because of a large fall in crop business. It attributed the fall to “recent mergers and acquisitions in the primary insurance space”, including the company’s own takeover of Crop Risk Services. Conversely, agriculture premiums were up strongly at Western World during the quarter. Validus Re eased back slightly on marine premiums but the property account showed an increase, 5.8%, to $203.7m. Aspen had a difficult 2016, recording reductions in both reinsurance and primary underwriting profitability, including a fourth-quarter loss in the primary book. The group has been repositioning its primary account this year, resulting in a 5.6% fall in gross premiums for the opening quarter. But reinsurance premiums were up 9.2% to $565.3m, driven by strong growth for casualty, particularly in the US and internationally; non-cat property, due to revision of premium estimates under proportional contracts; and specialty accounts, where agriculture showed good growth. Aspen said the pace of rate reductions for reinsurance business slowed during the first quarter, with rates down 2% on average. The largest reductions were for property cat cover, Aspen said, which fell 4%. The company is making use of Aspen Capital Markets to manage its net property cat exposure. On a net written basis, reinsurance premiums were broadly unchanged for the quarter. Aspen said it saw a positive contribution to its reinsurance division’s performance from the middle east and Africa region following the establishment of an office in Dubai last year as well further development in Asia-Pacific, including Japan. Reinsurance underwriting profit fell due to higher cat losses and a reserving charge of $12.8m because of the Ogden change. As we reported in Companies House on May 23, the four leading continental reinsurers a posted weaker underwriting performance during the first quarter, taking a fairly large hit from Cyclone Debbie. Swiss Re posted a loss of $350m and Munich Re €100m from the Australian storm. In common with reinsurers in other markets, the continental group are not exhibiting a consistent underwriting strategy. Swiss Re took radical action to its non-life account, reducing premiums by 17.6% during the quarter after a big increase in its casualty book last year. Munich Re has also pulled back, although less dramatically, cutting its account by 4.9% at January 1 renewals. But Hannover Re added 12.5% to its non-life account over the quarter before scaling back at April renewals, by 4.4%. Scor’s non-life premiums were up 12.3% for the first quarter and 3.3% at April renewals.